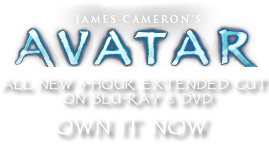 Phytotinium poydactylum | Pandorapedia: The Official Guide to Pandora | Own AVATAR on Blu-ray & DVD Now! Spiny whips are unusual plants that resemble gigantic relatives of the tiny nonvascular liverworts on Earth. The plant body consists of a stem that has a conical base and a cup-shaped top, which usually contains rainwater that collected following a storm. Many species of birds are seen using the large cups as a source of water for drinking and bathing. Spiny whips have no flowers, cones, or seeds, and instead reproduce solely by cloning of vegetative tissue. Buds of tissue develop inside the cup-like top and elongate to resemble large fingers. In contrast to the tiny gemma cups of liverworts, which eject their tissue buds when raindrops fall on them, these fingers of tissue are expelled violently from the cups when methane gas builds up in the stem and is suddenly released in a cloud above the plant. Following the explosive dispersal of vegetative buds, new finger buds are produced that gradually refill the cup, and the plant is calm until the next cloud of methane accumulates. Although the methane burping action of the spiny whips produces a foul odor and usually sprays the area with water, the tissue fingers are collected and eaten by the Na’vi. Botanical Description Herbaceous plant with unusual growth form resembling martini glass full of fingers. Stem arises from conical base and expands into cup-shaped top. Long finger-like buds of tissue produced in the cup are expelled and sprout new plants. Ecology Water collects in top of stem and is used for drinking and bathing by many species of birds. Ethnobotany Finger-like buds are collected and used as food.